Why work with a relocation consultant? At QRC we often get asked about what we do or what are the benefits of using a relocation consultant. 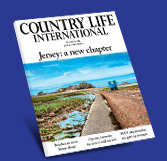 As an independent and neutral Jersey based company that has trained and experienced staff in each island, we are able to provide a broad range of services to support those who are moving to Jersey. We have assisted clients from the UK and Europe as well as on an international basis with the focus on making their relocation as simple and stress free as possible. There are many advantages and benefits when using a relocation consultant to assist with your relocation project. To find out about our clients experience of working with us, please view our video online or testimonials that our clients have kindly provided. At QRC whatever your requirement or your budget, we can provide a tailor-made solution to take the stress out of your relocation and to help you to achieve your goals in the easiest and most cost-effective way possible.